"Skoolbo - the best education app in the world." Congratulations on a new Personal Best! "Skoolbo helps Emma and Chloe practice their literacy and numeracy and gives them topics they may not yet have covered in school but after working with them they soon master it and are proud of themselves. 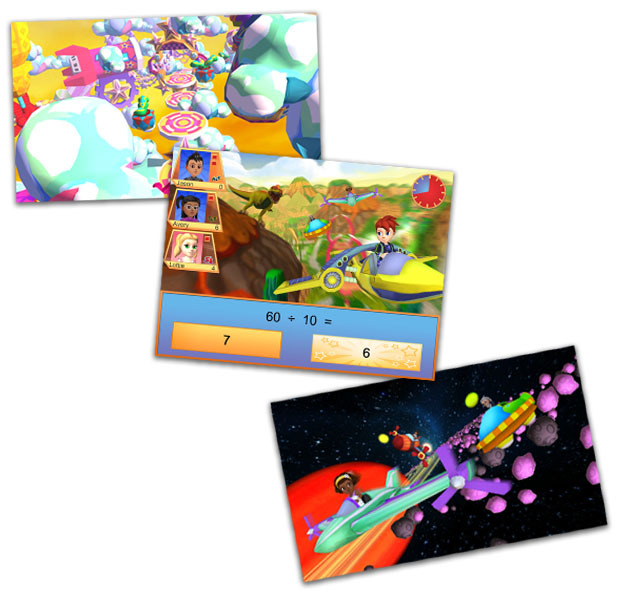 Skoolbo has been the best online learning tool so far to keep my daughters’ attention & excitement to play, well done!" 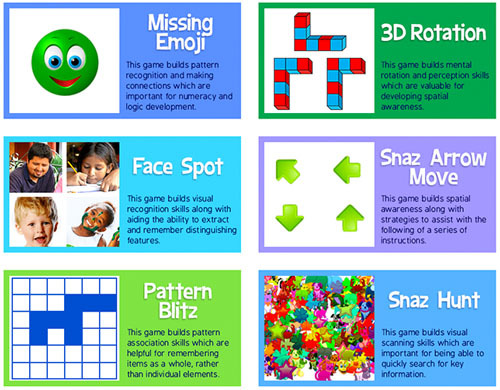 The Skoolbo Spiral Learning Algorithm evaluates everything a child does and works out the perfect program for them accordingly. The Daily Challenge draws from thousands of learning activities to provide just the right mix of new concepts, along with revision. The Skoolbo Voice Analyzer is super smart in recognizing what children say when reading or completing speech and vocabulary activities. Smart Reports to parents help highlight areas that their child may have difficulty with and suggest great ways to help. 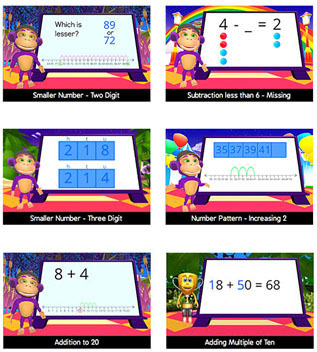 Every child is entitled to learn to read and become confident with numbers. 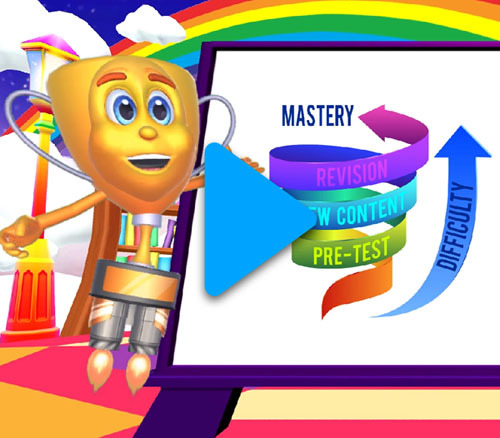 We stand behind our product and offer a 100% money back guarantee that your child will achieve more than 12 months of grade growth in both Reading and Maths. 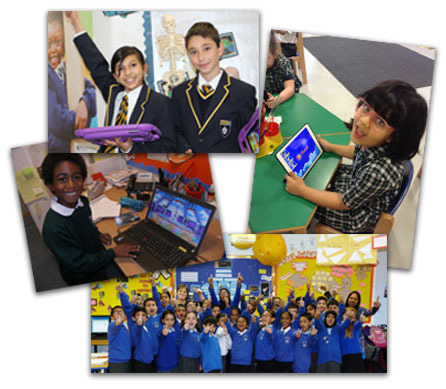 We believe it’s essential to capture a child’s imagination and make learning awesome! When children are genuinely engaged over an extended period of time, amazing outcomes are possible. Over 17 Million Personal Bests! 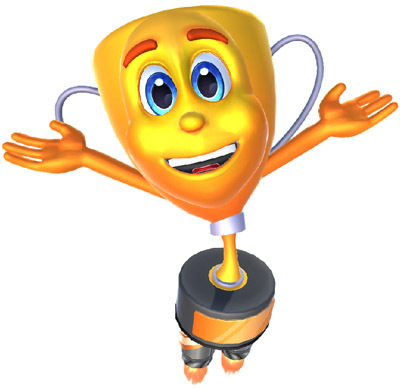 Every nine seconds a child achieves a personal best on Skoolbo! 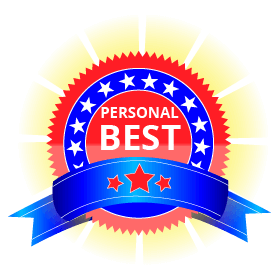 Our favorite thing of all is when children achieve a personal best at their learning. This is where they gain their best ever score at a particular learning activity. We believe these are worth celebrating with a wonderful high five! A study of 18,612 US schools found that 94.3% of children master a learning skill inside 20 minutes on Skoolbo. Skoolbo is available on most internet-connected devices via web browser. 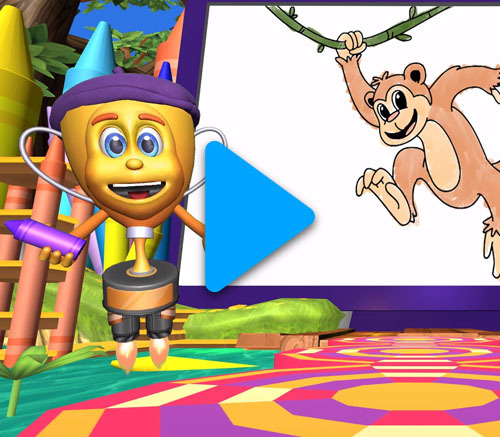 The wonderful 3D Skoolbo app is also available free with your Family Membership. Each day children are presented with their personalized learning challenge. It draws from thousands of learning activities to provide just the right mix of new concepts, along with revision. 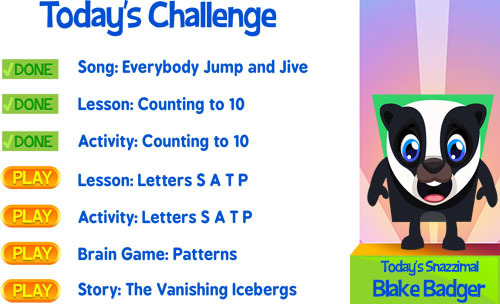 The Daily Challenge takes around twenty minutes and we recommend they are completed most days. 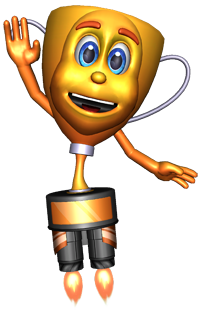 On completing a Daily Challenge, children are rewarded with a fun Snazzimal character to add to their collection. Skoolbo contains hundreds of step-by-step lessons designed to make concepts easy to understand. Concepts are brought to life by Captain Snaz and Mr Chimp in a fun, engaging manner. 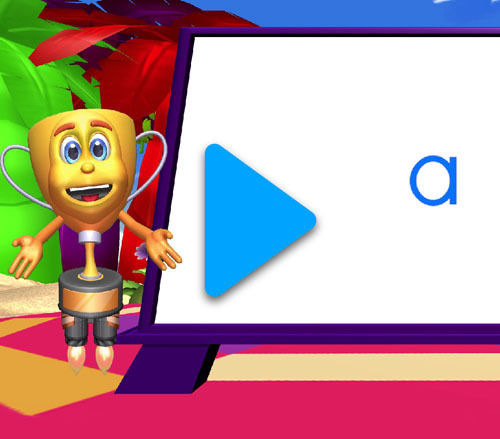 Animations are used to aid understanding and children can pause and replay at any time. "For the first time we have found a program that has engaged the students in our school with a broad range of disabilities. It is astounding to see a child with limited communication show us their talents with literacy and numeracy. It is heartening to see a child who has continually failed academically, discover success and build self-esteem. However, the most appealing aspect of Skoolbo, is that every child can participate at their own level with no shame and no judgement. 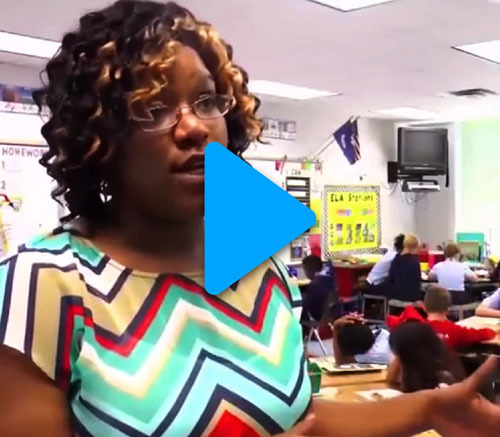 This program unbelievably well for our students with special needs." 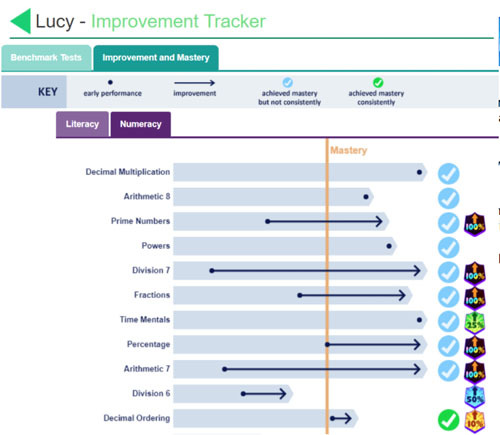 The Improvement Tracker shows your child’s reading fluency and numeracy relative to national benchmarks. The Individual Skill Analyzer highlights both mastery and improvement. The Help My Child section identifies learning areas that your child is having difficulty with. It suggests activities that are great to do together in order for your child to improve. See what our schools, teachers and parents have to say about us! Skoolbo is a research-orientated company, and we are passionate in our drive to ensure that every child learns to read and becomes confident with numbers. Analysis of data allows us to optimize learning both at an individual and collective level. We are able to see trends on how children learn and what may motivate them to further increase learning. We share our findings along with our anonymized data to help researchers and assist educational authorities in their efforts to maximize learning outcomes. 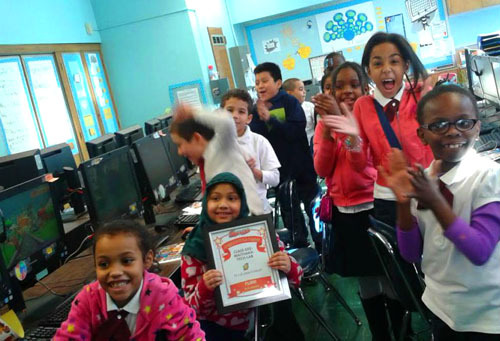 Skoolbo places tremendous emphasis on motivating children in their learning. We know that a motivated and engaged learner is on a fast track to success! The Skoolbo rewards system is a combination of short, medium and long term goals. 3 - 2 - 1 Go!! This is the catchphrase for the start of the most fun learning games ever!! 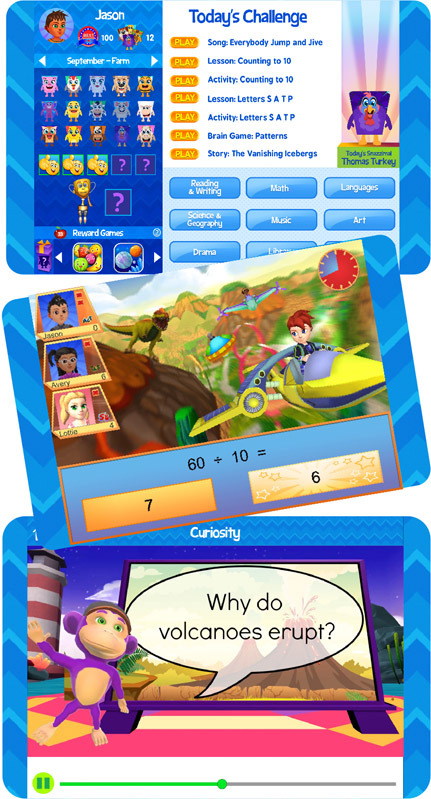 On the downloadable app version children are immersed in an environment where they give 100% of their focus in short, sharp learning bursts to maximize learning. Children forget they are learning and simply feel they are playing cool video games! Grandparents are actually superheroes in disguise! They have magical powers to help motivate grandchildren! Skoolbo shares the child’s learning successes with their grandparents. This enables them to say “Great Job!” and give the child an enormous high five, plus some hugs! 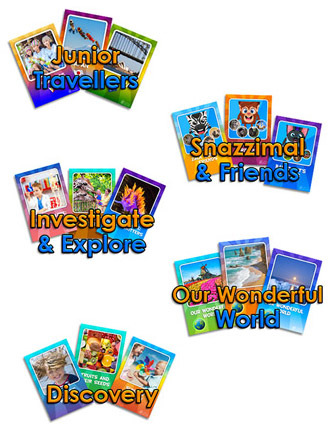 In addition to lessons and activities My Reading contains over 600 levelled early readers. Children can listen to model readings and then record and replay their reading. Most importantly, this allows children to hear how they have read the piece and then improve upon it. This is especially helpful for developing expression when reading. The recordings are then sent through to you as a record and portfolio. 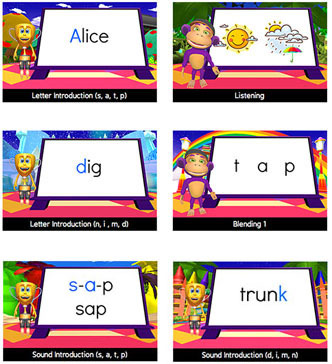 Skoolbo’s learn-to-read phonics program is headlined by the amazing Phonicals. 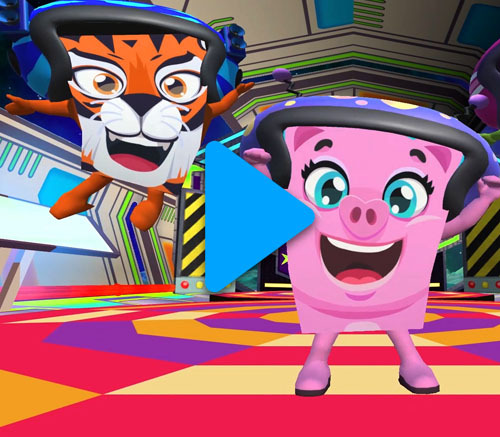 The singing and dancing characters bring sounds to life! 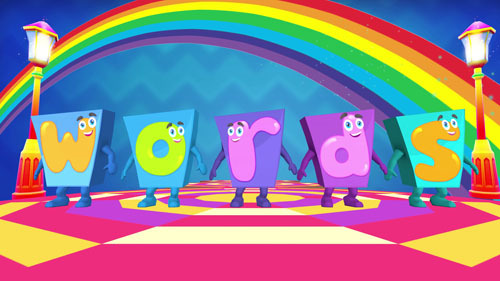 Skoolbo helps children learn the letter-sound relationships in an explicit and systematic manner. 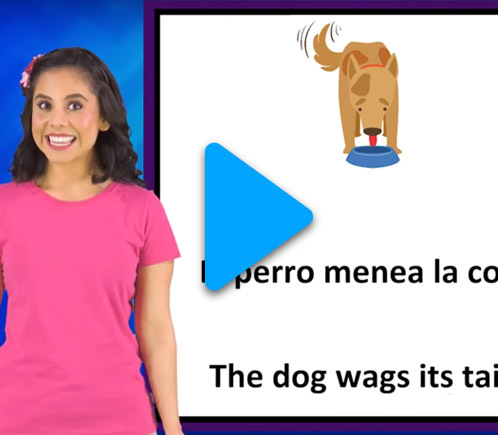 Children are taught how to blend separate sounds together to make words. Our writing challenges are a great way for children to express their incredible and creative ideas. They’re also brilliant for building vocabulary. After children write their responses, they bring them to life by narrating them and again these are sent to parents as part of their writing portfolio. For younger children, we recommend that parents assist their children in the writing process. We are sure you will have fun together and form a magnificent creative team! Ash & Gramps is a beautiful series where grandfather bear reads to his inquisitive grandchild. The two share their love of stories and the world around us. Ash & Gramps models reading to children and promotes active participation from children while listening to stories. Enjoy! 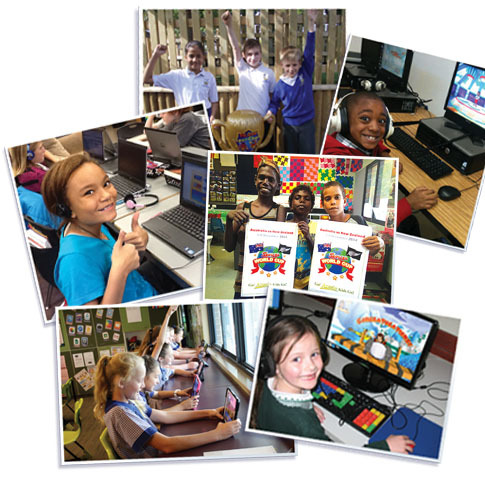 Skoolbo includes an exciting set of Times Tables songs that help children master multiplication in a fun way. 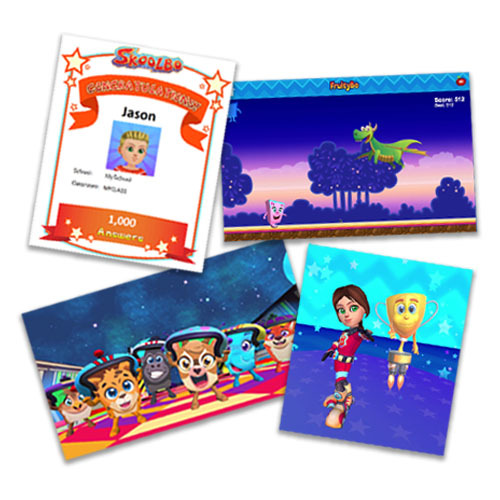 The Skoolbo Learning Games solidify the skills and promote rapid learning. We continually switch the way questions are asked which further promotes skill development. 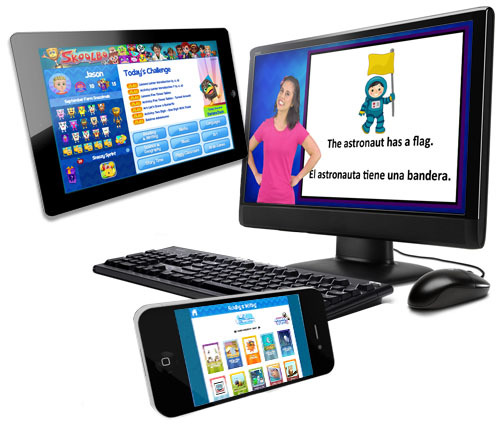 Skoolbo also contains a languages program with hundreds of lessons, activities and songs in Spanish and Mandarin, which are especially helpful for children whose first language is not English, or for those who are trying to learn a new language! Curiosity is a series of STEM (Science, Technology, Engineering and Mathematics) videos designed to promote inquisitiveness and wonderment. 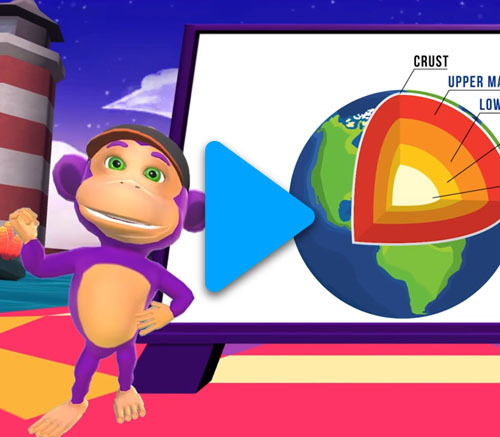 Mr Chimp and Captain Snaz bring to life scientific concepts in a fun, child friendly, manner. Why do dogs smell bad when they are wet? Why do hugs make you feel good? The Snazzimals headline a large number of fun learning songs which promote a love of music and play. In addition to the Snazzimal Songs there is also a series of fun, karaoke-style, singalong songs in English, Spanish and Mandarin. 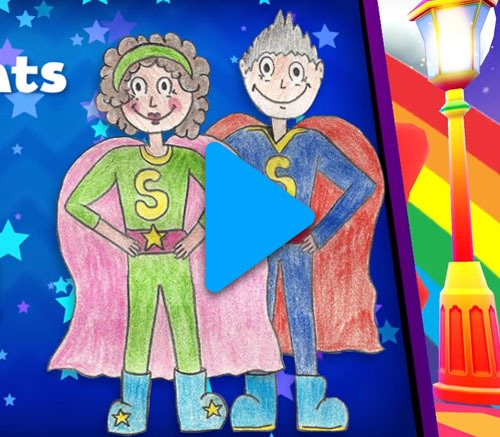 These are a mixture of classics and new songs designed to get children singing and moving! Captain Snaz shows us how to draw lovely animals. Children are able to pause and replay in a step-by-step, easy to follow manner. Art lessons are designed to inspire creativity and they are one of the most popular sections on Skoolbo! We want every child to develop a love of stories - we believe this is an essential prerequisite of being a great reader. Skoolbo contains a library of wonderful stories designed to engage and captivate young audiences. Fairy Tales & More - includes favourites such as Little Red Riding Hood, Cinderella and Pinocchio. Brave Little Friends - follow the story of the Brave Little Friends in their quest to be big! Classics - includes Wizard of Oz, The Velveteen Rabbit and Beatrix Potter series. 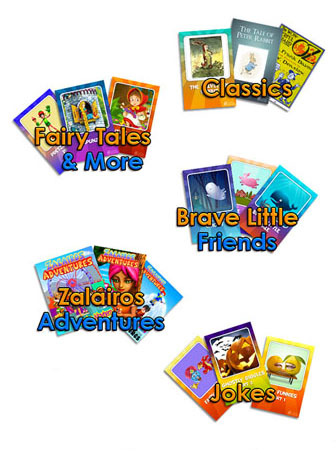 Zalairos Adventures - a wonderful series of twenty-five books following a group of children who work together to solve mysteries. Jokes - Twenty-one jokes books that both amuse and aid in language development. 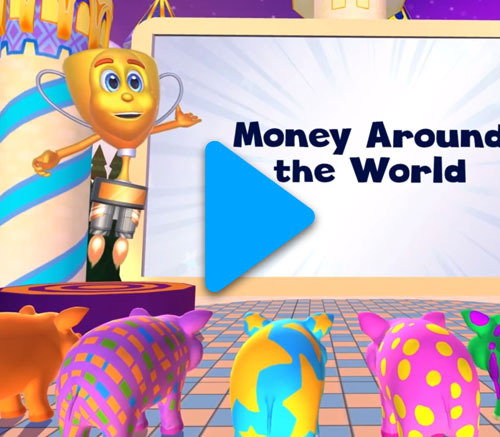 Helps children acquire essential financial literacy skills and foster good money and saving habits. Introduces children to concepts such as what is money, earning money, budgeting, saving for the future and spending choices. Enter your email address to try Skoolbo free for 30 days! Try Skoolbo free for 30 days!